I just read this article and thought you might want to give it a read, too. 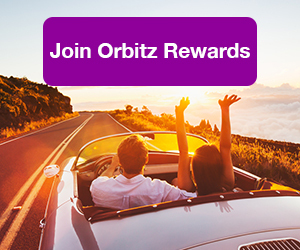 It\'s called The best way to spoil your dog rotten in all 50 states and you can find it here https://www.orbitz.com/blog/2018/08/the-best-way-to-spoil-your-dog-rotten-in-all-50-states/. He’s your best friend. Your roll dog. The one who listened without judgement after your last Tinder fail. And even though he chewed through your cell phone cord last week, you love your furry friend. While the occasional belly rub is a nice gesture, sometimes you’ve gotta step up the pampering game. In anticipation of National Spoil Your Dog Day on August 10, here’s how to indulge human’s best friend. 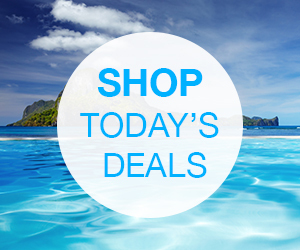 RELATED: Looking for more pet travel tips and deals on the best pet-friendly hotels? Find them here! Dreams come true in Alabaster—the second town in the nation to receive a Beneful Alabaster Dream Dog Park. The $500,000 facility in suburban Birmingham features synthetic turf, splash pads, tunnels and hoops. After a romp in the park, spring for a night at the Pampered Pet Resort in nearby Hoover, where each themed suite has its own TV. The Last Frontier for four-legged fun is University Lake Dog Park in Anchorage. Run through the field, trot around the mile-long path or take a dip in the lake. 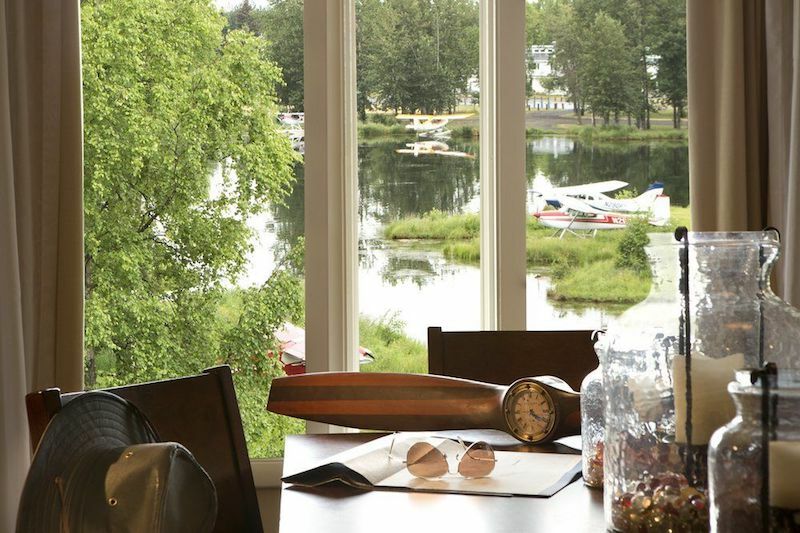 And because sled dogs aren’t the only ones who deserve pampering, treat your BFF (best Fido forever) to a room with a view at the pet-friendly Lakefront Anchorage. 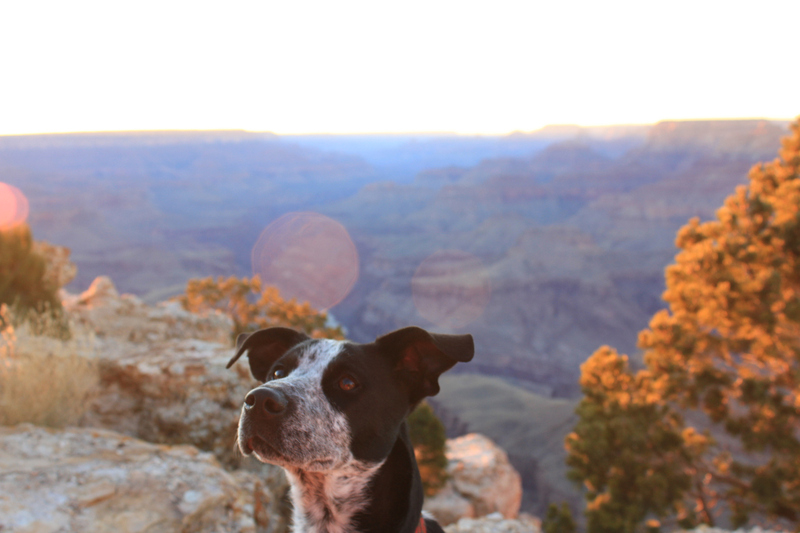 Check an item off Fido’s bucket list with a visit to the Grand Canyon. The South Rim is the most pet-friendly, with dogs allowed on most trails and campgrounds, as well as at the Yavapai Lodge. After an epic hike, head back to the big city for a meal at the OHSO Brewery and Distillery. Its four Phoenix-area locations offer perks like dog bowls and treats, plus lawn games and craft beer for you. End the day, walk Fido’s weary bones into the Kimpton Hotel Palomar Phoenix where all animals are welcome regardless of size and weight. Arrange dog walks through the concierge. Canine Country Club is as swanky as it sounds. Schedule a ride on the Bark Bus, and your pooch will be chauffeured to this doggie daycare and boarding facility in Roland, about a half hour outside of Little Rock. Amenities include a saltwater pool, 4 ½ acres of fields and dog playground equipment, plus spa services. The Bungalow restaurant at the Fairmont Miramar Hotel & Bungalows in Santa Monica is one of the hottest places to dine in LA, but its menu of Cal-fresh eats pales in comparison to the hotel’s pet menu, which includes New Zealand venison, an 8-ounce filet of beef and desserts like peanut butter petit fours, handmade truffles and organic frozen yogurt. Other perks include pet room service and, if you’re looking for posh doggy spa treatments, the hotel’s partner Healthy Spot offers blueberry facials, massages, pawticures and mud baths for your little buddy. The hotel also hosts doggy weddings—complete with complimentary tuxes and tiaras. Bow WOW! Why should your Instagram feed get all the likes? Pines Lodge in Beaver Creek lends guests a GoPro attached to a harness for a dog’s-eye view of your vacation. There’s also a Polaroid camera available to snap a pic of your pal “signing” the hotel’s guest book with his paw. 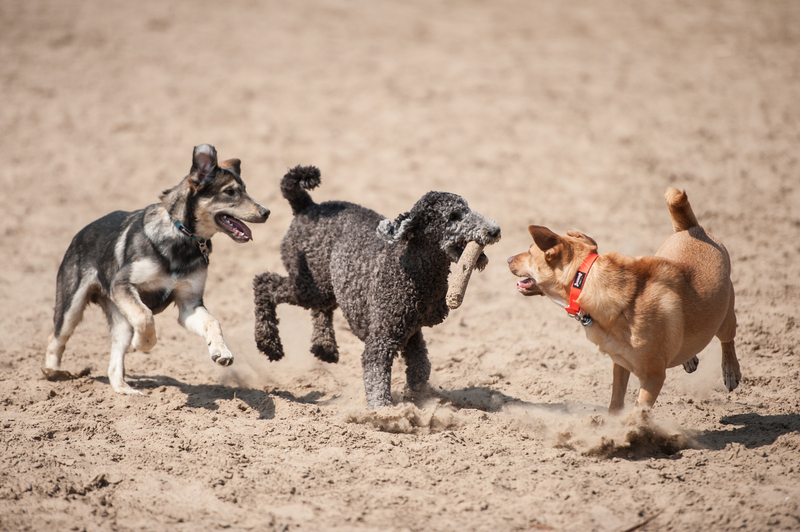 Treat your dog to an off-leash frolic Jennings Beach in Fairfield, the only local beach that lets dogs run unrestrained (from October 1 to March 31). Folks come from miles around to let their dogs experience this freedom, so it’s a good chance for your pup to socialize. After your outing, splurging on a night at the pet-friendly Omni New Haven at Yale is a smart move. Life’s a beach at Fenwick Island State Park, where the uncrowded Atlantic shores make for a light-hearted romp in the waves. 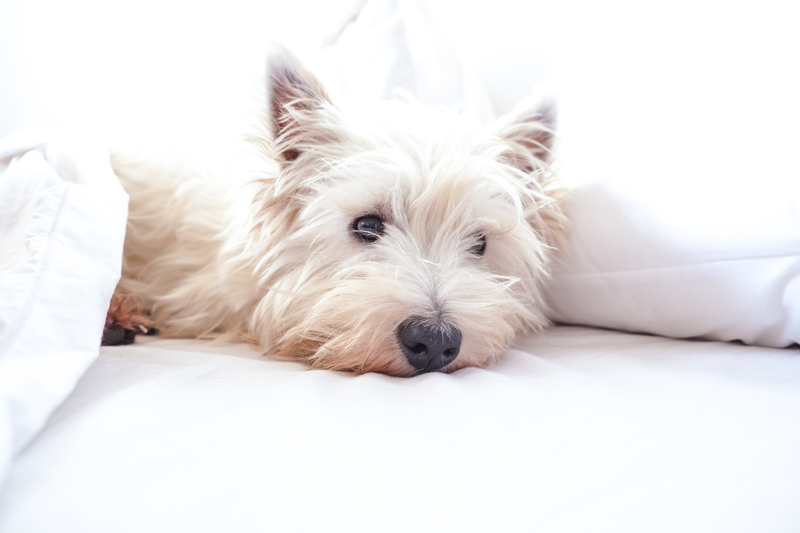 When you’re dog tired, head to the park’s campgrounds or cross state lines to the pet-friendly Fenwick Inn in Ocean City, Maryland. Pamper your pet with a day of indulgence at Chateau Poochie Dog Resort & Spa in Pompano Beach, where crystal chandeliers and flat-screen TVs are just the beginning. 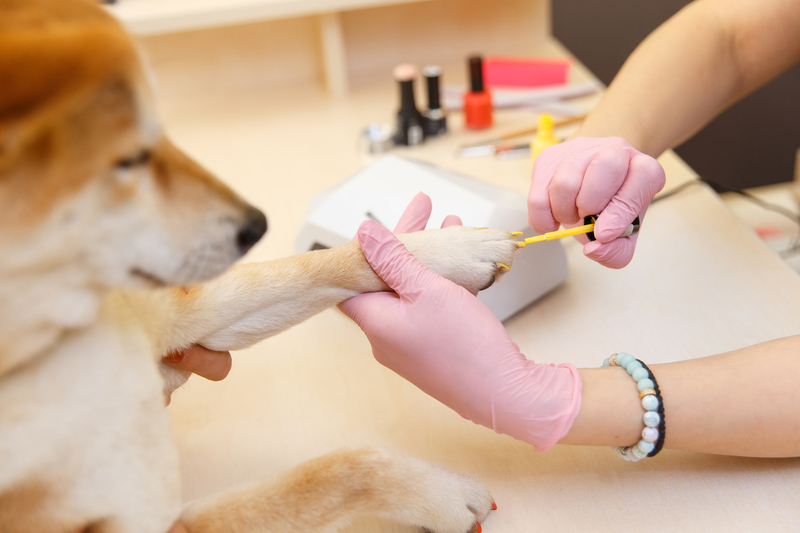 Spa treatments like aromatherapy, waxings, blueberry facials and “extreme makeovers” will have your pet feeling—and perhaps looking—like a whole new canine. When it comes to food, the spa’s holistic nutrition advisor will get your dog’s body beach-ready. Your pooch will have a peachy time at Atlanta’s Ellis Hotel, where four-legged guests can hobnob on their own floor. The downtown location is within barking distance of dog-friendly spots including restaurants, parks and doggie daycares. Every item at the Hawaii Dog Bakery in Honolulu is baked woof love (their words not ours) and that includes everything from sweet potato pupcakes, huli chicken roll-over rolls and made-to-order specialty cakes, which means if you’re heading to the Aloha State for Fido’s birthday, he can dig into his own personalized b-day cake as he romps around on the fine white sands at off-leash Kailua Beach Park. Want to really spoil him rotten? Check yourselves in at Hyatt Place Waikiki, where pet-friendly ocean view rooms offer balconies with a view of, let’s be honest, paradise. Nicknamed the City of Trees, Boise is just the place for you and your four-legged friend to enjoy some fresh air. Start with a jaunt along one of the off-leash trails on the scenic Ridge to Rivers trail system. Next, head to the retro West Side Drive-In and treat Fido to the Lassie Patty. Finally, retire to Oxford Suites Boise, where the dog-loving staff and ample green space will have Fido feeling right at home. Imagine taking in Chicago’s striking skyline while you and your pooch nosh on a delicious picnic lunch in one of the city’s most beautiful lakefront parks. That’s what you get with Hilton Chicago’s “Fur Mama” program, which provides guests with a “Bone Appetite Doggy Bag” packed with dog-friendly foods, ready to tote to nearby Grant Park. 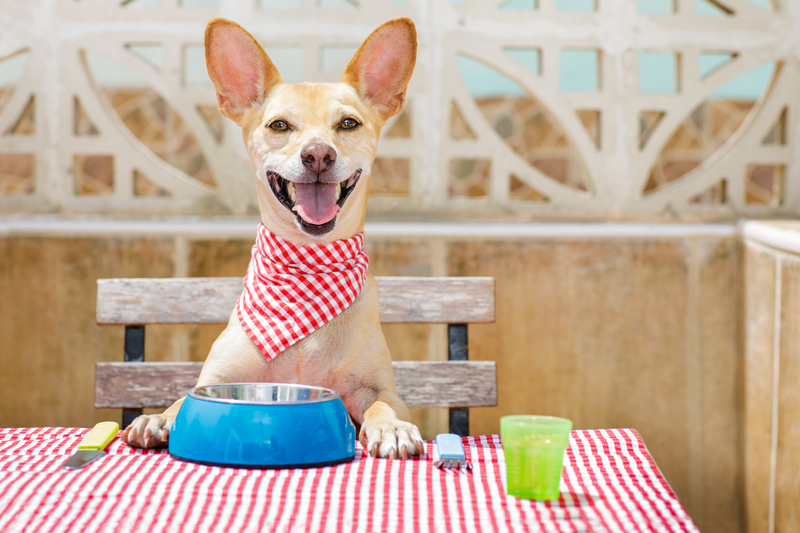 Come dinner time, the hotel offers a list of area restaurants that welcome four-legged friends, so your pal will never have to be left behind come mealtime. If your pet craves wide open spaces, she’ll love Auntie Barbara’s Bed, Bath & Biscuit in Lowell, about 40 minutes south of Lake Michigan. Schedule a 30-minute “profile interview” at the 10-acre property, and if she passes, she’ll enjoy the pool, off-leash socialization and monthly visits from Dr. Daniel King, who specializes in animal chiropractic, acupuncture, Chinese herbs and more. Talk about a moment of zen. Beaches in Iowa? Yes! And several of them are dog friendly. Indulge your BFF with some fun in the sun at Buffalo Shores Beach near Davenport along the Mississippi River where you can enjoy beach time, picnics and boating. Davenport is, overall, one of the Hawkeye State’s most pet-friendly destinations, so after all that play, turn in for the night at one of the city’s pet-friendly hotels. The Blackhawk, a “hipstoric” downtown hotel, has hosted presidents in the past, and now will host your furry friend under 40 pounds for a fee of $50. Toto, we’re in not among the general public anymore. At the members-only Chisholm Creek Pup Park in Wichita, your BFF can romp through 10 acres of agility equipment, shade trees, a swimming pond and more. Too tired to go home? Enroll in Chisholm Creek Pet Resort’s doggie daycare or overnight care for a private suite with a private patio, flat-screen TV, webcam and bedtime tuck-ins. Joined at the hip? Stay together at the Ambassador Hotel Wichita smack in the middle of downtown. Barks on Bauer in Louisville treats your pup with the Southern hospitality she deserves. The doggie daycare and in-home pet care service pampers your pooch with dinners of chicken, brown rice and sweet potatoes, plus peanut butter-banana ice cream at bedtime. (Um, we’d eat all that.) Working on your BFF’s birthday? Don’t sweat it. 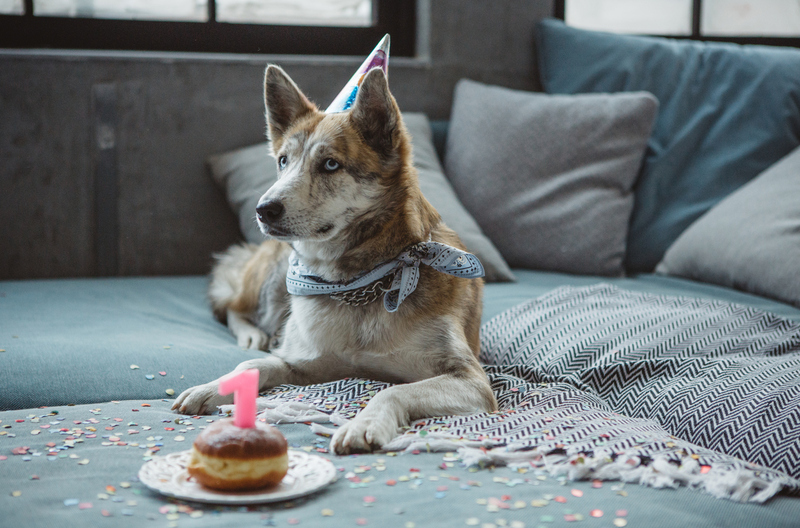 The daycare will treat your pet to a birthday hat, bandana, toys and even a cake from nearby Three Dog Bakery. Put your tired pooch to bed at the dog-friendly 21c Museum Hotel which doubles as a gallery of 21st century art. Onsite restaurant Proof on Main is legit fantastic so make sure you fill a doggie bag for Fido. It’s easy being dog-friendly in the Big Easy, so take your pooch on a N’awlins getaway. Start with coffee and beignets al fresco at the original Cafe Du Monde. Next, pick a tour—from architecture tours to horse-drawn carriage rides—there are plenty of pet-friendly options. Then spring for a room at the Ritz-Carlton New Orleans, which offers pet beds, chew toys, designer collars and other amenities to make your pet’s trip just jazzy. Book the INNcredible Pet Package at Inn by the Sea in Cape Elizabeth near Portland, and your dog will be inn for a treat. The package includes two nights in pet-friendly accommodations (with a raised LL Bean dog bed), a 30-minute in-room massage (for your dog, not you), dinner from the pet menu and pet turn-down service with a locally made treat. Sounds fetching. When Fido needs a break from the dog-eat-dog world of politics, he can seek solace at Olde Towne Pet Resort. This dog- and cat-friendly getaway has three DC-area locations, including one in North Bethesda. Your pal can cool off in a bone-shaped pool at doggie day camp; try his hand—er, paw—at the agility course; and spend the night in a luxury boarding suite, complete with his own TV, turndown service and a webcam so you can see the fun you’re missing. 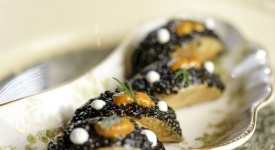 It’s always the year of the dog at the swanky Mandarin Oriental, Boston, with “doggie dining” menus, pooch pillows and a map of local dog-friendly attractions. When you’re ready to hit up the hotel’s signature restaurant, Bar Boulud, there’s no need to leave Spot in his room. 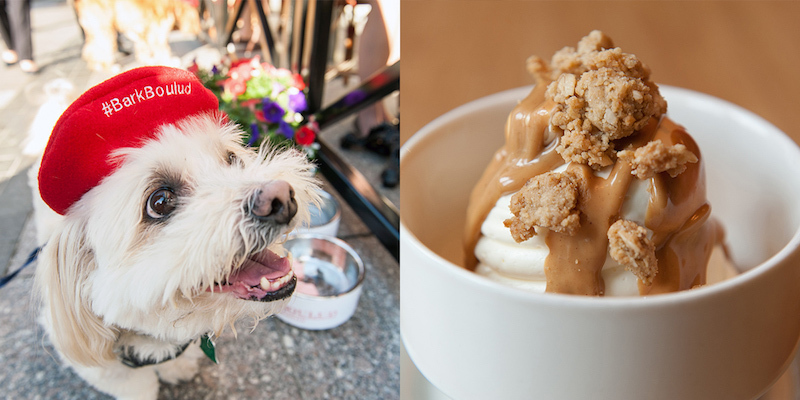 With a special Canine Café Menu (watermelon pupsicle, anyone?) and dog-friendly photo props, it’s no wonder #BarkBoulud is trending. You’ve got your dog and a glass of wine; what else do you need? At Hickory Creek Winery in Buchanan (about a half hour from southwest Michigan’s beautiful Harbor Country), enjoy a glass of small-batch wine without leaving your pooch behind. Continue your BFF date with a visit to Water Street Coffee in downtown Kalamazoo, where the shaded patio and dog biscuits will make you both want to sit and stay. ALSO: Looking for a fetching getaway with Fido? 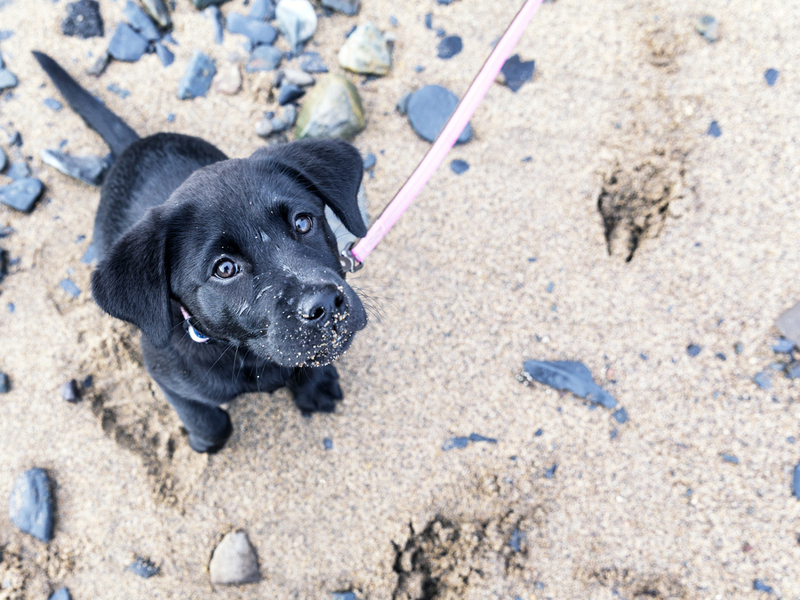 Click here for more woof-worthy travel stories! About an hour outside of Minneapolis you’ll find Top Dog Country Club, whose suites feature plush, wrought-iron framed beds, heated floors and incandescent lighting. 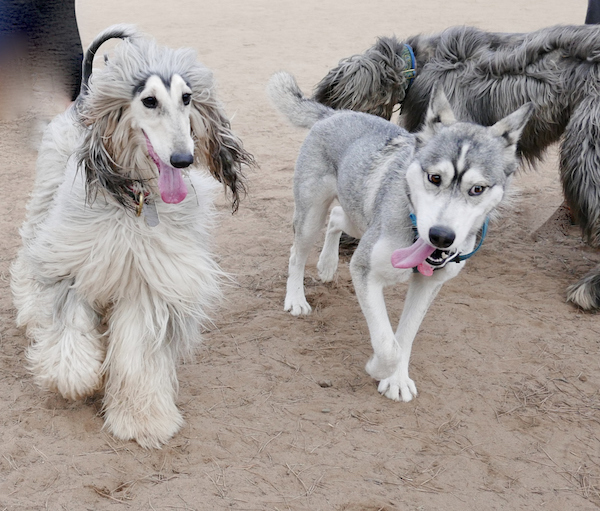 The club offers year-round fun, from swimming and sheep-herding in summer to dog coats for the snowy winters. After he’s tuckered out, retire Fido to his room, where soothing music is pumped 24 hours a day. Into classical, jazz or blues? Join the club. Make a splash with a visit to Waveland Beach. This small, under-the-radar beach welcomes dogs, so it’s the perfect place for your pup to cool off away from the crowds. After your fun in the sun, head to the nearby Blind Tiger Restaurant in Bay St. Louis, where you and your bestie can share surf-and-turf on the pet-friendly patio. The cultured canine will appreciate a leashed walk through Donald J. Hall Sculpture Park at the Nelson-Atkins Museum of Art in Kansas City. Later, your furry friend can let loose with a run and swim at the 53-acre off-leash Shawnee Mission Dog Park. And when Fido is ready to hit the hay, head to Caroline’s Pampered Pet Motel in Ozark, which will spoil your pooch rotten with raised beds, music and TVs in every room. In Missoula, get ready for some outdoor, off-leash fun with your favorite roll dog. 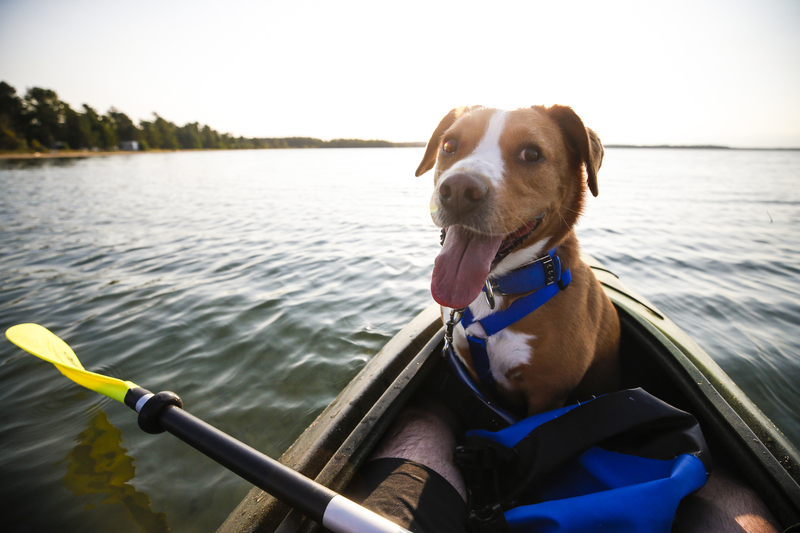 Run and swim through 6 acres at Jacobs Island Bark Park, explore Pattee Canyon, go rafting down the Blackfoot River and head to the locally owned store Go Fetch! for some re-tail therapy. Best. Day. Ever. The Cornhusker State offers plenty of ways to spoil your pooch. Start with a stroll through Omaha’s Old Market, the city’s arts and entertainment district featuring a riverfront walking trail and plenty of dog-friendly restaurant patios. Next, enjoy the greenery at Mulhall’s, a garden nursery that welcomes dogs with treats and padded shopping carts. Finally, settle in for a stay at the pet-friendly Magnolia Hotel Omaha, where Fido can enjoy the creature comforts of this historic property without an additional pet fee. Assigned playgroups, scheduled nap times and individual cubbies may sound like the curriculum at your child’s preschool, but they’re actually part of the day care schedule at the Yellow Dog’s Barn in Barrington, about a half our west of Portsmouth. Overnight guests can book a cabin at the property’s Dog Town, where accommodations include raised beds, soothing music and TVs in every room. As sure as the slot machines will take all your money, over-the-top dog perks abound in Sin City. At the luxury Delano Las Vegas, a tower located within Mandalay Bay, dogs are greeted with treats, waste bags and a Doggie Delights Menu from which their people can order them up treats like the Pooch Patty, Bark-A-Roni and Fido’s Frittata—and then chase it with a half hour dog walk courtesy of the concierge. Butler services are also available. 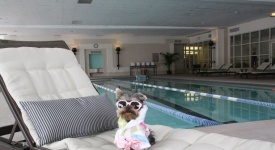 With seven locations in New Jersey and Pennsylvania, K9 Resorts Daycare and Luxury Hotel is top dog. Book a luxury suite, decked out with framed art, where Spot can watch Animal Planet or just gaze out his window into the great outdoors. For some variety, he can socialize in the courtyard or indulge in a shampoo at the hotel’s salon. 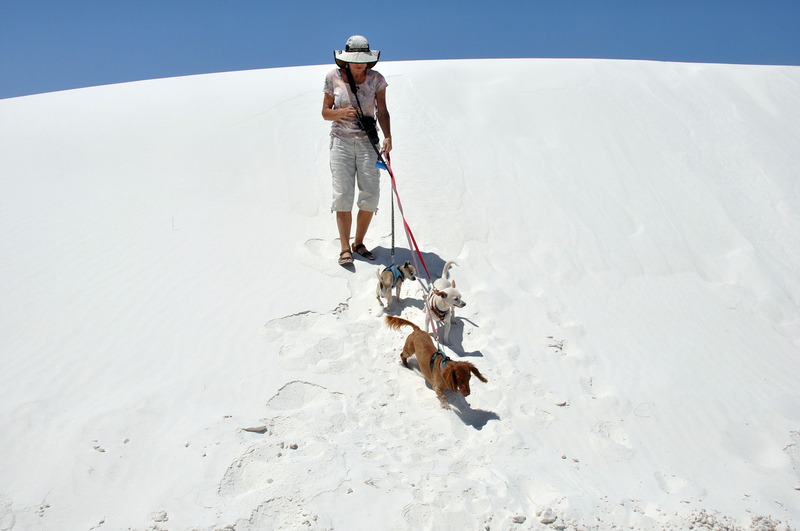 Imagine letting Fido roam wild among an endless sea of gorgeous white sand dunes. Perhaps the most Instagrammable park in the US, White Sands National Monument is made up of 275 square miles of gypsum crystals where leashed dogs can wander among pet-friendly trails or explore the monument via ranger-led tours. It may not sounds at spoiling as the Hos-PET-ality package at the Lodge at Santa Fe, but trust us, your dog will love it. What’s that we see keeping Wellington, the resident bulldog at the Crowne Plaza HY36 in NYC, warm on harsh winter days? Why, a fashionable winter jacket, of course. Wellington’s threads are part of the hotel’s “Coats for Canines” program which loans out stylish outerwear as part of the hotel’s commitment to dog friendliness. Over the top? Maybe. Perfect for trendy hounds and their people? Fur sure. What’s the most lavish way to spend a day in North Carolina? Hanging out at the Biltmore Estate in Asheville, of course. Dogs aren’t allowed inside the home, but leashed pets are allowed to roam the expansive and perfectly manicured grounds with their people and dine on the patios at Bistro and Cedric’s Tavern. How about spoiling Fido with a nearly-150-mile hiking trail that meanders through rugged peaks, lush valleys, expansive prairie, undulating rivers, pristine badlands and even ice caves? The Maah Daah Hey Trail begins in Watford City and offers jaw-dropping scenery for people and their dogs in western North Dakota (although the portion that runs through Theodore Roosevelt National Park is off limits to companion animals) and will likely bring Fido face to face with other dogs—prairie dogs that is. A poolside cabana outfitted with a loveseat and fireplace? Sounds like you and your pet would have a nice stay, except that you won’t be there. The Barkley, a pet hotel and day camp in Cleveland offers everything from pawdicures to bedtime stories to trans-paw-tation to and from the resort. The 16,000-square-foot facility provides ample room for playtime and some rooms surround a soothing fountain. Felines are also welcome; they hang out at Kitty City. Every major city has that one hotel where presidents, celebrities and other top dogs (get it?) stay while they’re in town and in Oklahoma City that accommodation would be the Skirvin Hotel. Not only is this downtown gem a historic stunner and just two blocks from Deep Deuce Dog Park, but its Pampered Pooch Package includes treats and biscuits, an in-room pet pillow and a loaned bowl for food and water. From cafes serving puppiccinos to a beer hall hosting an annual “Dogtoberfest,” Portland might be the first city that actually treats pets better than people. Imagine indulging Fido in a bubble bath, pawdicure, massage and an overnight in her own 70-square foot penthouse with floor-to-ceiling windows, natural light, individual climate control and DOGTV. It’s all available at Sniff Dog Hotel just north of the happening Pearl District. Jealous? You should be. Dog brunch? Yeah, it’s a thing. At restaurant Square 1682 in Philly, summertime ushers in the enormously popular Bring Your Own Dog Brunch featuring a doggy menu with items like eggs ‘n’ taters with bacon and peanut butter biscuits. 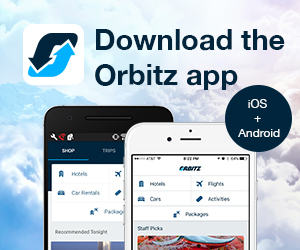 Wondering where to stay in the City of Brotherly Love? 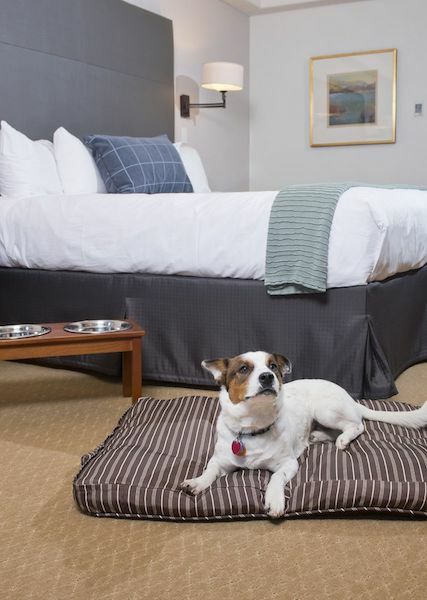 Don’t worry: Square 1682 is located within the pet-friendly Kimpton Hotel Palomar Philadelphia where food and water bowls are delivered to your room and pet-sitting, walking and grooming can be arranged through the concierge. If your pooch think he’s straight out of the Gilded Age, spoil him rotten with a weekend in upper crust Newport. Here’s the plan: Take him to KJP Flagship Store at Bowen’s Wharf for a stylish bandana; then board a boat and sail around the harbor with dog-friendly Gansett Cruises; hit the pooches-allowed patio at O’Brien’s Pub (where dogs are given a special treat); end the day with a luxury stay at the legendary (and Fido friendly) Grace Vanderbilt. Sticky South Carolina heats up like a low country boil much of the year so the best indulgence for Fido is keeping him cool. 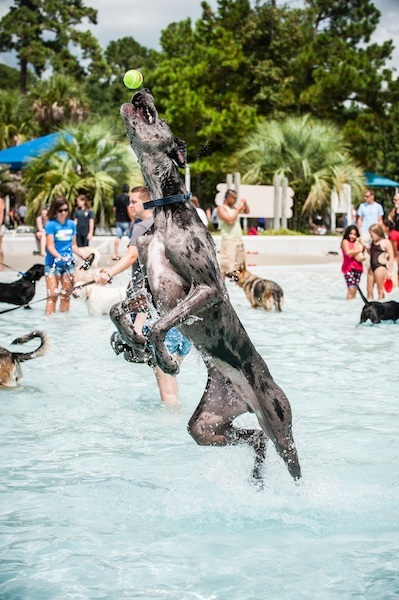 In September, both Splash Island Waterpark and Whirlin’ Waters Adventure Waterpark near Charleston offer “Dog Day Afternoon,” an annual event in which both parks open their pools, wading areas and lazy rivers to pooches. Retire in style at the exquisite and pet-friendly Grand Bohemian Autograph Collection which is just steps away from the pet-friendly Charleston Farmers Market happening Saturdays at Marion Square and Fido-friendly joints like coffee shop Kudu Coffee and Craft Beer and Poogan’s Porch. Dogs aren’t all too different from us—they love a little rugged adventure but they also love curling up in some comfortable bedding at night. In Keystone, you’ll both get exactly that with a night at Under Canvas Mount Rushmore, where dogs are more than welcome. 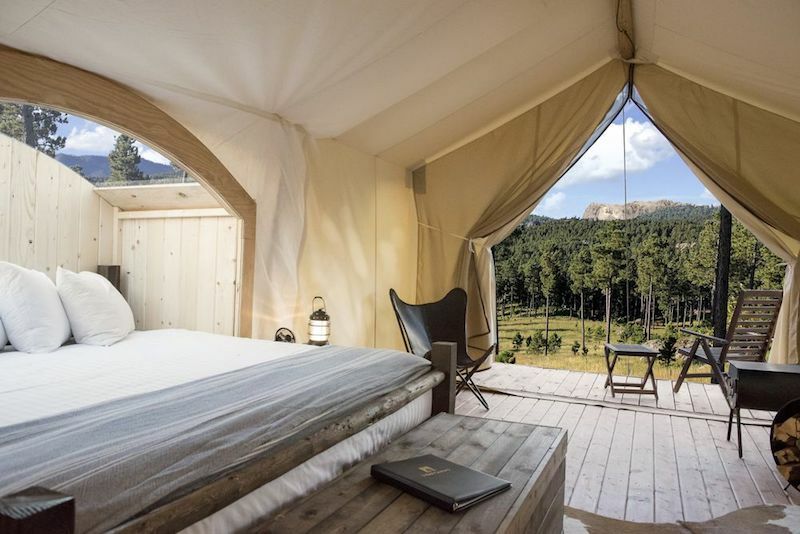 The new glamping tentalows, located adjacent to Black Hills National Forest, offer full baths and a wood-burning stove, while the grounds offer picnic areas with grills, views of Mount Rushmore and a social center with a restaurant, games, nightly live music and s’mores around the fire pit. One way to spoil a pet is to treat her to all the same fun indulgences that you enjoy. After a night of barhopping Nashville’s many dog-friendly patios, check into the Loews Vanderbilt Hotel and prepare yourselves to be treated like queens. 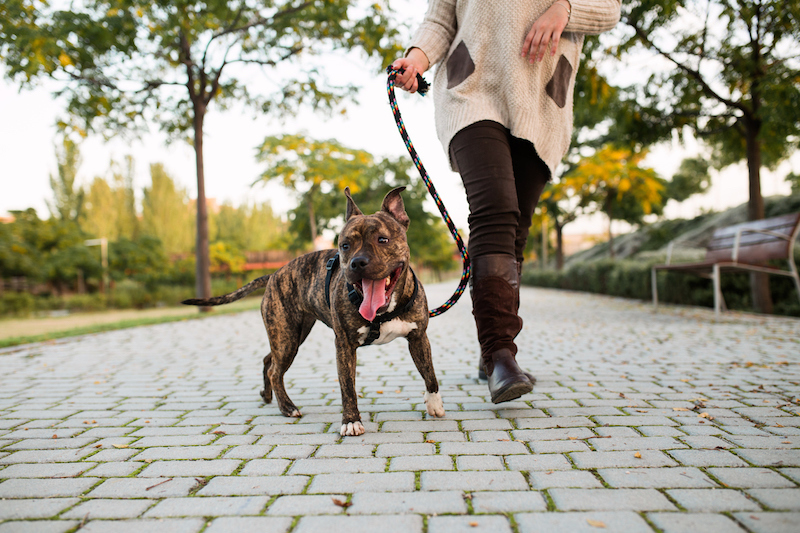 As part of the Loews Loves Pets program, your furry friend will enjoy first-class comforts like specialized bedding, bowls, leashes and collars; and you’ll receive dog-walking route maps and pet-walking and sitting services. The highlight, though, is the canine room service: Expect human grade meals such as the Chicken Puppy Bites with shredded chicken, veggies and bacon, prepared by the hotel’s executive chef. A few hotels around the country host doggy yappy hours, but Hotel Van Zandt, a Kimpton Hotel, in Austin, is the only one we know of that welcomes all pets, whether your lovey is a canine, bird, rabbit, or even kangaroo. All species are welcome to hit the hotel’s daily social hour—expect complimentary belly rubs and treats for them, and free margaritas, wine and beer for you. One of the greatest things about Salt Lake City is that, even downtown, you’re never far from incredible natural beauty. Treat your pup to a hike along Millcreek Canyon in the Wasatch Mountains, just 15 minutes from the city. The valley, named for the mills that once lined the forested canyon, lets dogs cut loose leash-free on odd numbered days. Afterward, check in at the famously pet friendly Kimpton Hotel Monaco where Fido sleeps for free. If you don’t already cherish every moment you have with your pup, the Dog Chapel in St. Johnsbury, Vermont will change that. The welcoming little chapel on Dog Mountain is part memorial to beloved dogs that have passed and part outsider art installation, all under the motto “Welcome, All Creeds, All Breeds, No Dogmas Allowed.” You’ll find tens of thousands of emotional “in memoriam” notes dog owners have taped to the walls over the years. 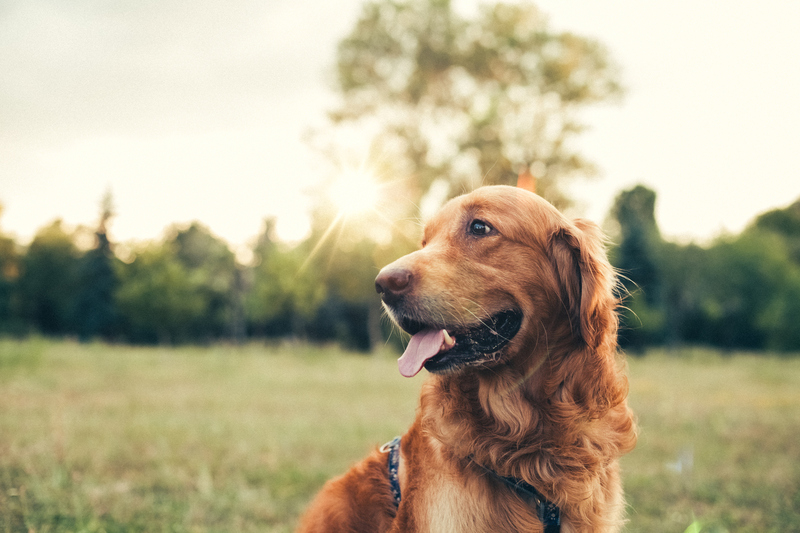 After reading through some of them and shedding a few tears, give your dog an extra hug and then skip out to the on-site, off-leash dog park where you’ll find hiking trails and a pond for Fido to frolic in. Virginia is for dog lovers. Treat your furry friend to a pontoon cruise with Daisey’s Island Cruises. The boats take you out into the waters around Chincoteague and Assateague Islands on the state’s eastern shore, where you’ll spot the famed Chincoteague ponies running free, as well as dolphins, interesting birds and gorgeous sunsets. Seattle is one of the most dog-friendly cities in America, so you could pack a weekend full of fun things to do with your dog. But if you only have time for one, take your bestie out kayaking on beautiful Puget Sound. 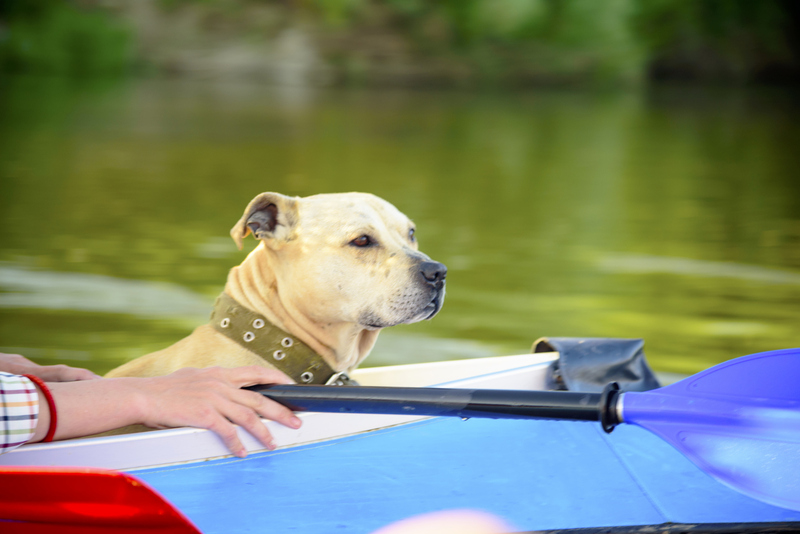 At Ballard Kayak Rentals, just 15 minutes from downtown, dogs are welcome to paddle along and take in the wildlife and gorgeous scenery. Stay at the Maxwell Hotel in Queen Anne (ask about their Pineapple Pup Package). “Would madam like the sliced grilled sirloin or the house made beef and rice in savory gravy?” That’s a question your server at Art and Soul, a farm-to-table restaurant with views of the Capitol, will be asking your dog while sitting outside on the Pooch Patio. Afterward, stroll the dog-friendly National Mall. Stay at the chic LINE DC housed inside an old church. There are no fees and no weight restrictions, plus poop bags, water bowls and treats are available upon request. It’s rosé all day for you and the pup when you go vineyard hopping around charming, historic Harpers Ferry. Two dog-friendly standouts in the area include Breaux Vineyards in Purcellville, which welcomes dogs in the tasting room, on the grounds and on the patio; and 8 Chains North in Waterford, which welcomes dogs on the grounds and on the patio. When it’s time to turn in for the night, head to Lily Garden Bed & Breakfast, which accommodates dogs in its two private suites housed in a historic carriage house. 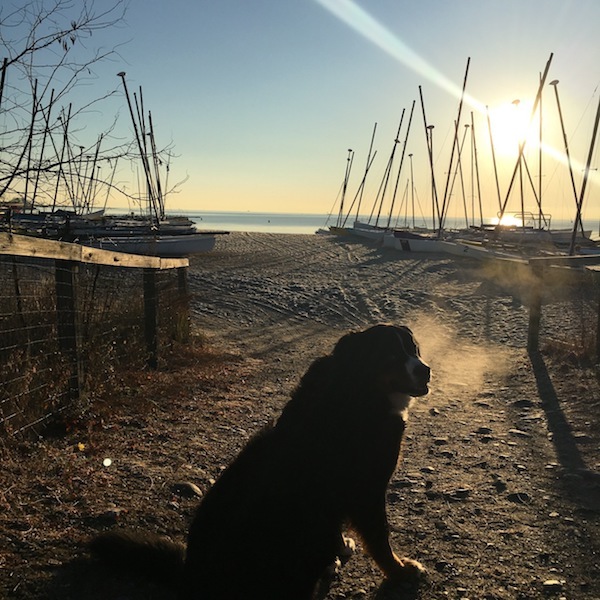 If you’re looking for a getaway with Fido on a woodsy Midwestern shore, Door County is it. 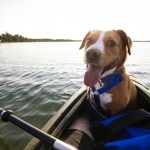 Wisconsin’s thumb-like peninsula juts out into Lake Michigan and welcomes dogs with plenty of fun things to do, including Shoreline Scenic Cruises, which lets you and Fido explore the area’s cliffs, caves, lighthouses and shipwrecks aboard a schooner. When the sun sets, cozy up for the night at the Country House Resort in Sister Bay, where amenities include a doggy basket packed with dog towels, furniture cover sheets and a guide to dog- friendly businesses in the area, plus an outside dog wash area. Your dog will be in good canine company when you sign yourselves up for one of Cody Wyoming Adventures’ whitewater rafting tours. 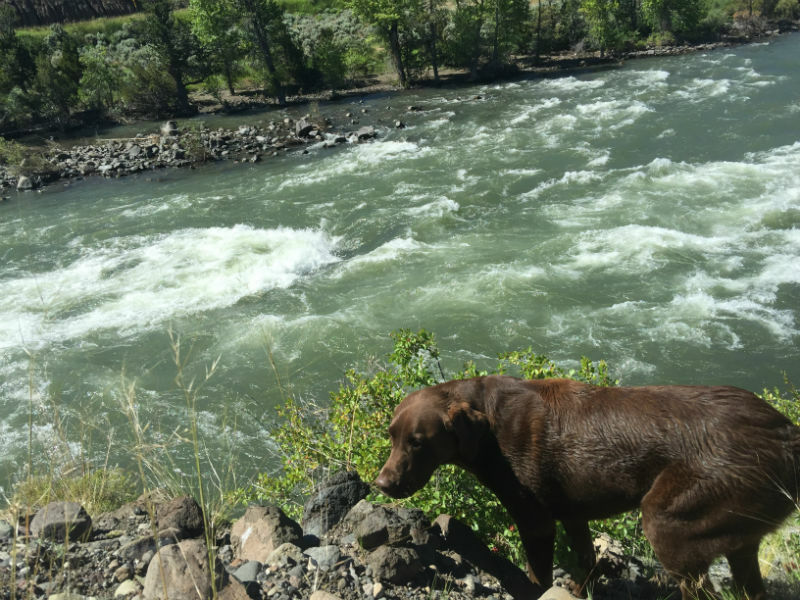 On most trips, you’ll be joined by Moose, one of the owner’s dogs, as you explore the beautiful natural scenery of the Shoshone River or Red Canyon River around Cody. Stay at Cody Cowboy Village, a collection of log cabins with open beam ceilings including a limited number of pet-friendly rooms.